Greetings from my couch in Rochester, NY! Let's do this! A fun playful kickoff to a welcoming SF crowd. Phish waste no time in kicking into a dirty, dark, grimy gear with 46 Days. A version that could easily fit into a 3.0 set 2. It was so good that FIsh asked "Can we play that again?" Only to have Trey kick Mike off the stage. Don't worry, Mike came right back to drop bass nuggets in a standard McGrupp. Hot dog! Half-baked vocals (but earnest and aiming-to-please!) on Pigtails. Fish is loving life tonite and doing it up on backups (at least, it sounds like Fish.) Love me some slowed-down psychedelic Cities. Another version of a song that could easily be a condensed set II pleaser. Then Nellie Kane! 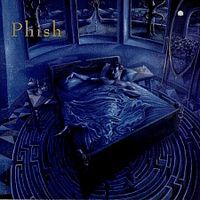 I know it's a straight-forward take (as Nellie Kane usually did done do it) but it's also one of my personal fave Phish covers, and PS, I love Mike Gordon (#MikeSide). Little bit o' psychedelic Gumbo but Guytue overshadows it with some terrifying vocals toward the end. The darkness continues thu Axilla I and The Dogs. It had great energy thanks to the howling crowd. BGA sounded like a dangerous palace of hedonism. Dirt and Bowie to end a fantastic set 1 where almost every song had a sprinkle of Trey's awesome sauce. Break time! "Winning, DUH!" award goes to...Carini! I heard Trey say "1,2,3,..." and then my body immediately went into bounce-mode when Cactus dropped the first bass bomb in Moma Dance. Page raged on piano. In my head I was minding the skipper, drinking wine... and, frankly, I knew set II would be fine. The sailing adventure on the SF bay continued into ASIHTOS...........Sorry, zoned out halfway thru Ocean (which is what we all want from a set II.) Ok Mercury. I'm not crazy about you but I respect this version. The end jam flows and I lost my thoughts for a few minutes. Back into the dark with the second Carini of Summer 2018. Lift off a quarter way thru. The crowd cheered thruout Mike's solo. He did it. Cactus went "Full-Wizard". It got wacky after that, the rest of Carini was a blur. Fun Maze, Boogie, and an uplifting Harry Hood, featuring some beautiful quiet moments. 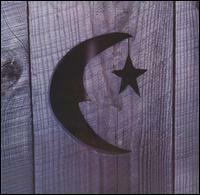 No one knows who I am so you don't know (or care) that Squirming Coil is my fave Phish song of all time. 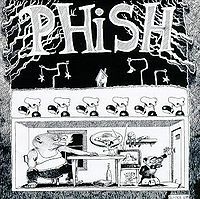 I started listening to Phish in 93. 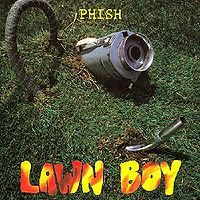 The Lawn Boy studio album was my first exposure. I remember envisioning Icarus and Little Jimmy and how that all went down. It's just so darn good. So basically I'm saying the encore was a perfect ending to a fantastic show! Overall SF night one night proved a very solid show. Ample jamming and mighty fine song selection make this a strong relistenable affair. 46 Days works well as an opening - both surprising and well jammed. Trey made use of the Leslie and a good full band groove ensued eventually yielding to some Trey solo theatrics. McGrupp in the two slot was an inspired choice and kept up the momentum. Always a fantastic tune. Pigtail wasn’t really what I was looking for l, but was perhaps the lone misfit of the show. A very enjoyable Cities ratcheted the dance party back up and Page’s synthy stylings made it worthy of another spin. Side note - lots of new tones and textures to be found this tour. Nellie Kane was fun and Gumbo even more so. 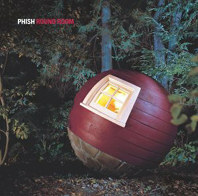 Guyute is a song I very much enjoy, however from my spot Mike side Trey seemed to struggle a lot and completely drop out at times, but also could have been the acoustics in the room. Fun none the less. Axilla and the Dogs were as hard charging as you’d expect and kept the energy level cranking. A well placed Dirt was welcome albeit flubbed a bit and the set closing Bowie put an emphatic ribbon on a very solid set 1. Highlights for me were the opening pairing and Cities. Set II was basically a masterclass. Moma opened up and I figured since the past couple outings (remember the BD version!) this might be a jammer. It stayed in the box in spite of Mike trying to pull them major at one point (from what I recall), but definitely a good way to kick off the set. Things then got real with ASIHTOS delivering the first truly wild full band jamming of the night. They covered a lot of ground without ever really peaking the jam to hard. Full band was the name of the game and count me among the supporters of this type of jamming. Probably neared 15 minutes and the band actually came to a full return to lyrics (cool ending) following the jam. Mercury did not let up and was my first time hearing the tune. I didn’t love all of it, but I loved most and the jam was equally fantastic with more full band playing and just inspired work all around. Different dynamic then previous and also awesome. Carini was the standout highlight of the night even with the previous two tunes monster jams. It wasted no time getting serious and simply must be sought out. They could easily have slid back into Moma during the jam as well - at least to my ears. Just grab this one! Monster! Maze provided the bookend exclamation point and Boogie On kept things going. Hood capped the show off in style. A memorable set indeed. Coil is welcome by this fan and was a pretty encore choice. Overall great show but set II has three extremely good centerpiece jams with Carini being truly exceptional. Just so many highlights to this one. As others have noted on this thread, Carini was magical. Great balance, patient evolution through the song. Kudos for throwing down this masterpiece, the BGCA crowd will remember this one for a long time! Was initially upset that we couldn't get to the venue before doors opened - but ended up with good seats center up - decent sound balance unlike the last time (do others have this problem with BGCA?). 46 days was a solid starter, although I have heard a more memorable one in years past at the same venue. With Cities, the band announced they were going to make this a night to remember - and it didn't let up from then on. Mom Dance delivered a gut punch (in a good way!!) 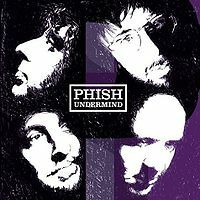 to kickoff set 2 -- with Trey, Mike, Page and Jon showcasing each of their wizardry through the exploratory riffs and flavoring. And that final closeout by Page - wow. A shout out to the phans near us - just great company, safe travels back to Colorado! 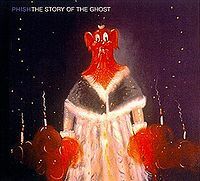 Final thoughts - Phish seems to have perfected their art form, just a showcase for the ease/ immersiveness of their music, with spectacular guitar riffs/ solos, and percussive imagination. Feels like the MSG baker's dozen gig from last year has helped them grow even more..just amazing. 46 Days out the gate - not sure many ppl saw that > McGrupp n Hosemasters (me n monk started laughing) , Pigtail (ppl on stream were baffled), Cities was tight, ill def respin Kane, Gumbo, Guyute, Axilla, again. then came the Dogs where Leo laid down the funk on the boards. Dirt very solidly placed. Then the Bowie to seal the cap on set one. WOW! That is a setlist! I can't wait to give this one a listen to! Besides Lizards Harpua or Icculus or some crazy setlist game like at the Dicks show's, this is about as good as it gets! AWESOME! Finally a piano solo encore. . . .yesssssssssssssssss!!!!!!!!! !